We’ve seen photos from the top of the Eiffel Tower before. But this is the first photo of the tower itself from our mystery photographer’s European travels. The tower was built in 1889 to be the entrance arch for the 1889 Exposition Universelle, a World’s Fair. It was derided as being ugly by many but has become one of the most visited monuments in the world. The tower was designed by Maurice Koechlin and Emile Nouguier with additions from Stephen Sauvestre. Gustave Eiffel purchased the design for his company and started construction in 1887. The Eiffel Tower was an instant hit with the public though. Thirty Thousand visitors climbed 1,710 steps in the tower before the elevator lifts entered service on May 26th. When the exhibition ended, 1.8 million people had visited the tower. 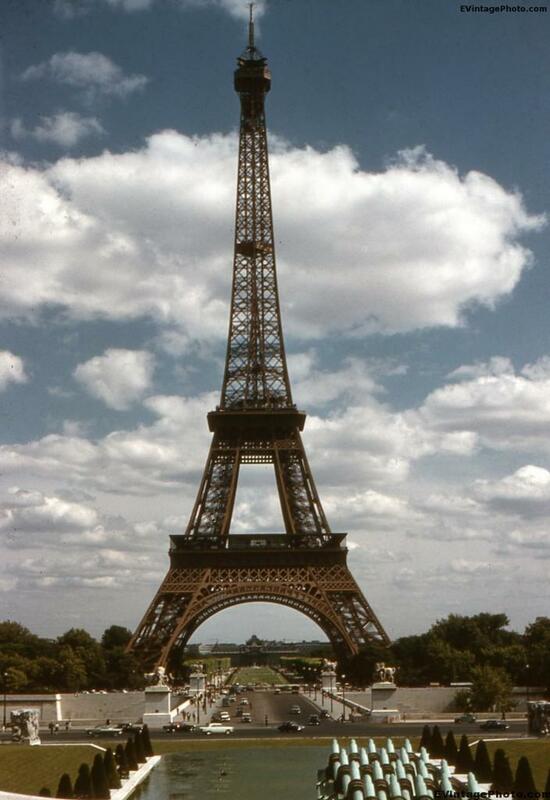 As of 2010, 250 million people visited the Eiffel Tower.